Ras Lion is a music addict: from production to promotion, from selection to engineering to celebration to collection… As the head of the Lion’s Den and musical activist, he runs a label, a sound system, a studio and promotion. He is further a founding member of DubDerGutenHoffnung and part of the Serendubity Festival Crew. His musical works move mostly in sounds as Dub, Steppas, Reggae, but sometimes also touch other styles. 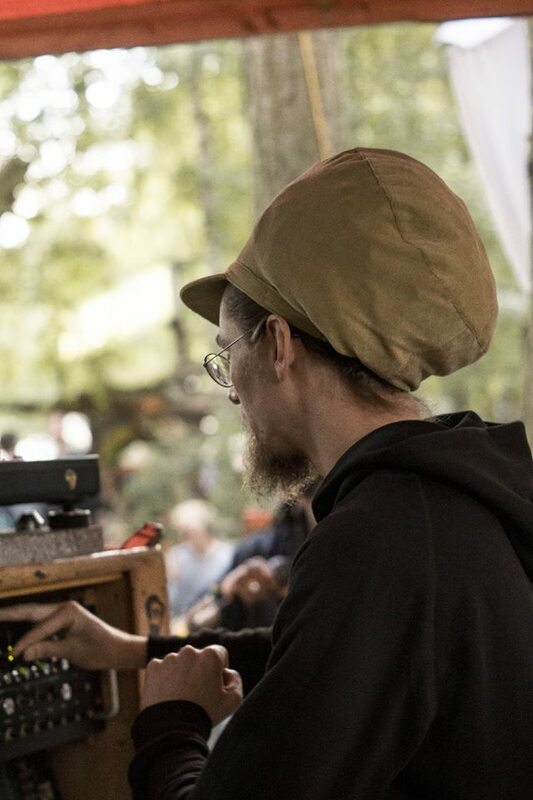 Always on a musical mission, Ras Lion collaborates with various vocalists, musicians and producers from all over the world – all about connecting different people, different influences and inspiration, merging creative energies. Live a fine selection of tuff dubs and conscious lyrics combine to make the massive skank and spread positive vibes all around in a sound system style, Lion’s Den fashion – Ras Lion (selekta / operator / engineer) mostly joined on lyrical duties by the multilingual MCs/singers Kali Green and konTa or guests. Ras Lion is regularly organizing sound system sessions in Berlin and around and, other than Germany, has played in countries like Austria, Belgium, Croatia, Czech Republic, France, Italy, Poland, Romania, Russia, Switzerland and the UK. Festival appearances include Fusion, Dub Camp, Dour, Reggae Jam, No Logo, One Love, Seasplash, Serendubity, and several others. On his journey Ras Lion has had the possibility to work and share stages and controls with many of the ‘greats’ of the scene – united on the mission to spread music they love.